At this past July's Comic-Con International in San Diego, Archie Comics announced that its popular new character Kevin Keller, the first openly gay member of the iconic Riverdale Gang, would star in his own ongoing comic book. 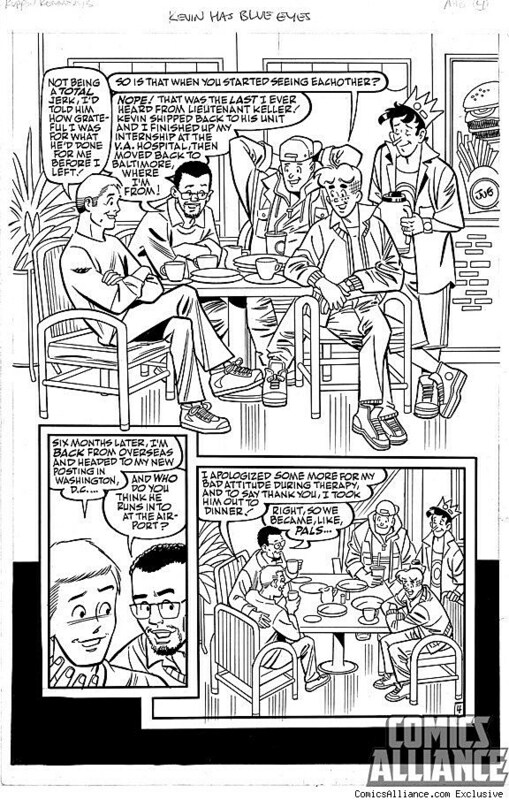 The publisher also told readers they would see Keller get married in a future issue of Life With Archie, the series that explores the possible paths of the Archie characters' lives as they extend into the future. The happy event is confirmed for Life With Archie #16, on sale in January, but ComicsAlliance has learned exclusively that Keller will meet his husband-to-be while serving in the United States Military. 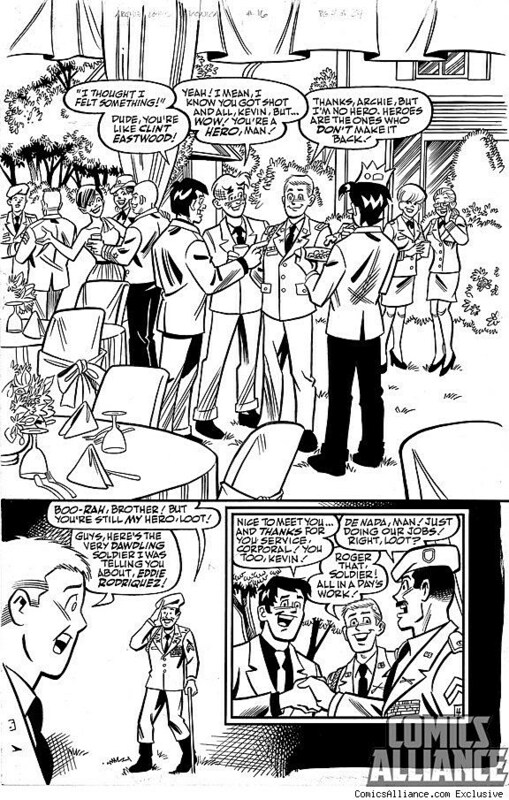 To learn more about mainstream comics' first gay wedding and its significance to American culture and the Archie Comics legacy, ComicsAlliance spoke with the company's Co-CEO Jon Goldwater, and also has exclusive in-progress preview artwork from the special issue. 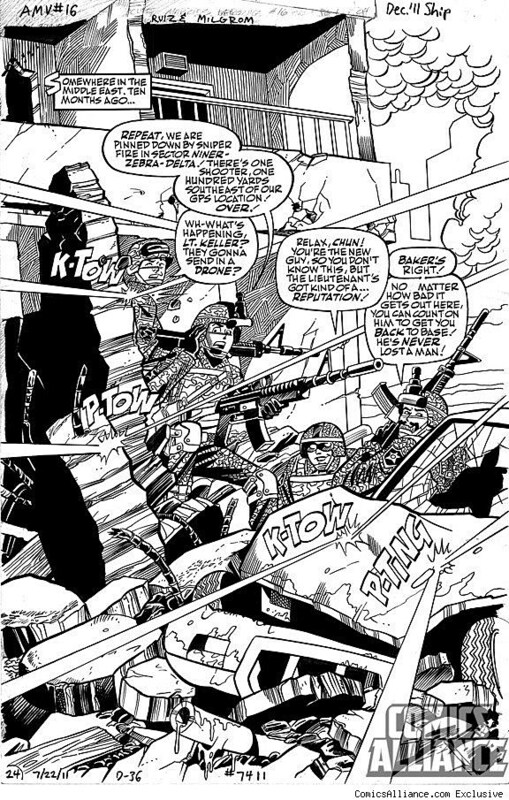 Introduced last year in an issue of the Veronica series, Kevin Keller is an aspiring journalist who also wants to follow in his father's footsteps by joining the U.S. Armed Forces. 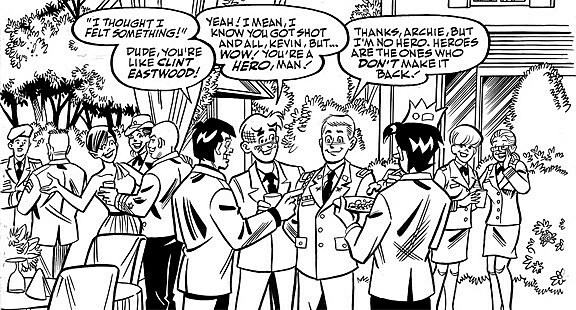 The character has earned lots of attention and praise for tackling the subjects of gay teens and gays in the military, but as Kevin's creator Dan Parent told ComicsAlliance in May, Archie Comics readers -- like the Riverdale gang themselves -- just simply love the guy for who he is. In January's Life With Archie #16, readers will learn that Kevin one day achieves his goal of joining the armed forces, but also that he becomes injured in the line of duty. Kevin meets his future husband, Clay, while recovering in a military hospital. ComicsAlliance: Why did you decide to make military service part of Kevin's backstory? Jon Goldwater: We knew from the beginning that Kevin was an army brat, and that his family moved around a lot, which was part of the backstory of why he came to Riverdale in the first place. Then, as we moved past his initial appearance and started to flesh him out in talks with Dan Parent and our staff here, we wanted to get a sense of what his goals were. And we really wanted him to have a strong bond with his father. So, it made sense for him to want to follow in those footsteps and join the military, and it was natural for his father to be supportive. CA: Does Kevin's storyline deal with the impact of the U.S. Military's Don't Ask Don't Tell policy, either before or after its repeal? JG: Not directly, but we do have a social point of view. 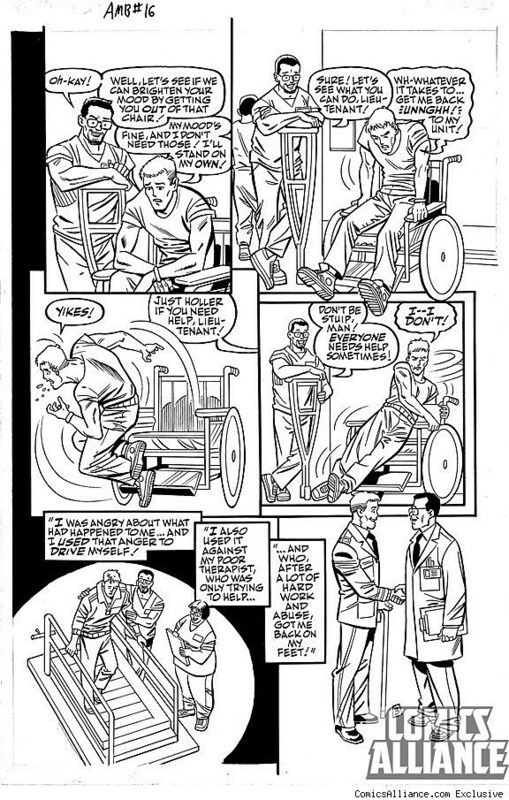 Kevin is injured in the line of duty and meets Clay, his future husband, while in a military hospital recovering from his injuries. It obviously deals with DADT, but it doesn't spell it out for the reader. 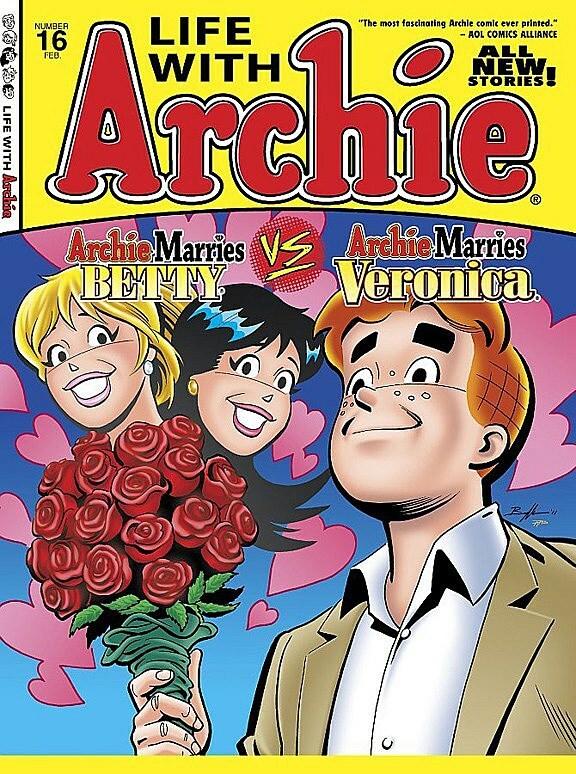 We wanted to focus on telling the story of how these two characters met and decided to get married, and how that, in turn, tied into the lives the other Archie characters were living in this future timeline. But yes, this story touches upon a number of topical issues, including DADT, gay marriage and really connects with my over-arching message about Riverdale: It's a safe place that is welcoming to everyone, and will always be that. 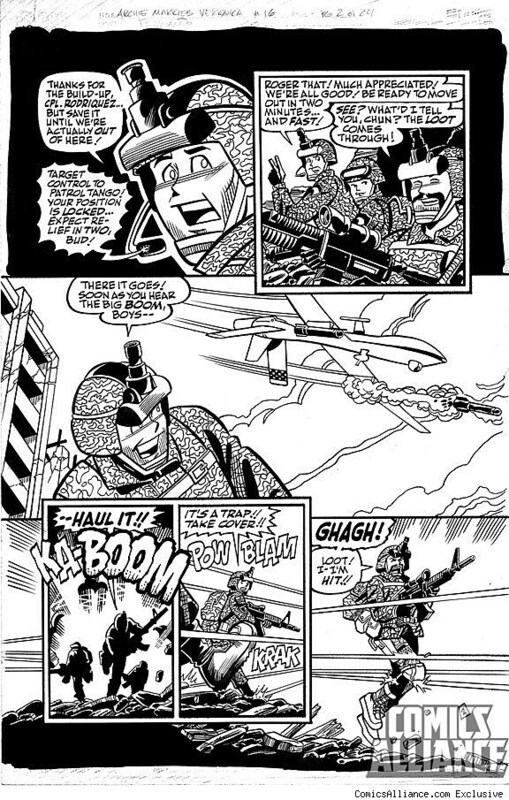 CA: This storyline addresses both gay marriage and gays in the military, both of which are cultural hot button issues. What made you want to take them on in Archie Comics? JG: Because it's important. Kevin is an important character for us; he's not just a flash in the pan. He's the most important new character we've introduced in the comics since the original five. So it'd be unfair of us to just have him hover in the background. He's important and we're exploring his backstory and future in the only way we know – by portraying it in a compelling and honest way, without straying from our classic Archie style. 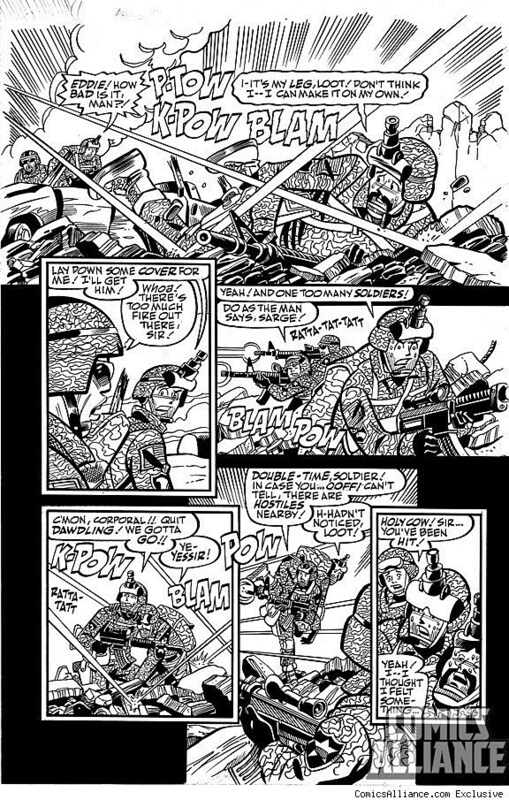 And the creators – writer Paul Kupperberg, artists Tim and Pat Kennedy and Fernando Ruiz with an assist from Dan Parent – really nailed the kind of story we wanted to tell: heartfelt, honest and true to the characters. CA: What kind of response have you gotten from readers so far to Kevin Keller's character, or to the way his stories address these issues? JG: The response has been astoundingly positive! We've seen a massive wave of positive feedback, both in the press and from our fans. You even see Marvel and DC responding by following us! But it's really our fans that determine where we go as a company. We have had a handful of critics, but that comes with any major storyline or character decision. 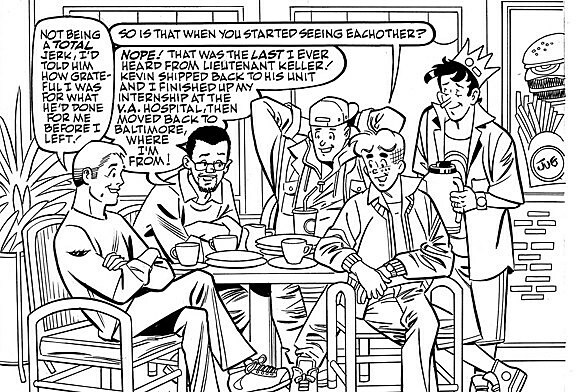 As long as we feel we're being true to these characters and presenting entertaining and genuine stories featuring Archie and his friends, we're doing our job, and this story falls into that category. 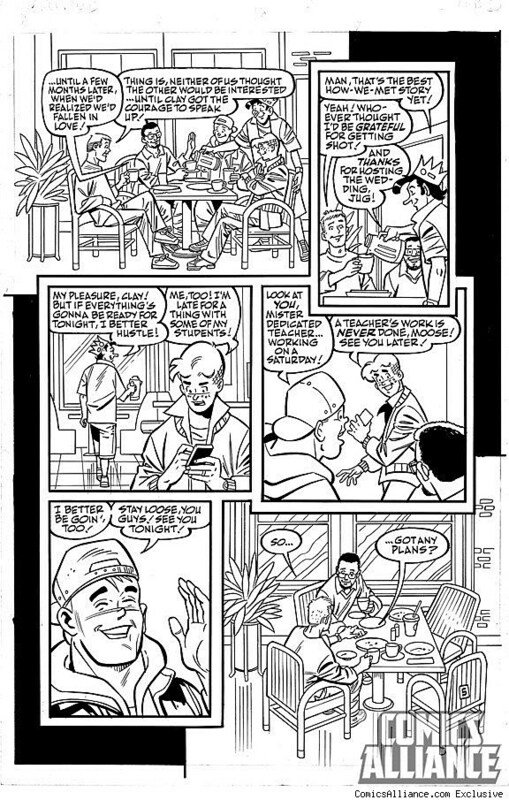 Written by comics veteran Paul Kupperberg with artwork by Fernando Ruiz, Pat Kennedy, Tim Kennedy, Al Milgrom and Bob Smith with a cover by Norm Breyfogle, Life With Archie #16 goes on sale in finer comics shops and newstands in January, and can also be purchased from the Archie Comics website.